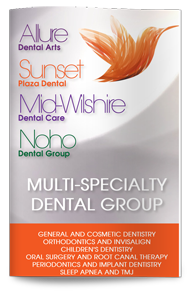 Sunset Plaza Dental, which is located in the heart of Sunset Plaza, is a multi-specialty practice with a comprehensive range of dental treatments and procedures for the whole family. Our United Health Care HMO dental insurance dentist in West Hollywood is committed to providing you with the full-service dental care that you need to improve your dental health, restore lost or damaged teeth and enhance the natural beauty of your smile. Our United Health Care HMO dental insurance provider in West Hollywood understands that you have a busy schedule. We offer flexible hours that include early morning and late evening appointments, and our payment options are flexible. We even have a skilled dental professional on call during the weekend and off-hours to ensure you have access to the care you need when you need it. From routine cleanings and checkups to advanced diagnostics, dental surgery, tooth restoration and gum disease treatments, we can serve you at every stage of smile health. Our team of skilled dental professionals is happy to provide you with the information that you need to make good choices about your smile, and we may even recommend treatments that can improve your dental health or the appearance of your smile. We even offer smile makeovers and full-mouth reconstructions for our patients who have more extensive smile concerns. With state-of-the-art facilities, advanced dental technology and highly trained dental professionals, Sunset Plaza Dental is ready to serve you. Give us a call today to learn more or to schedule your next appointment with our West Hollywood dentist.